RAIPUR. 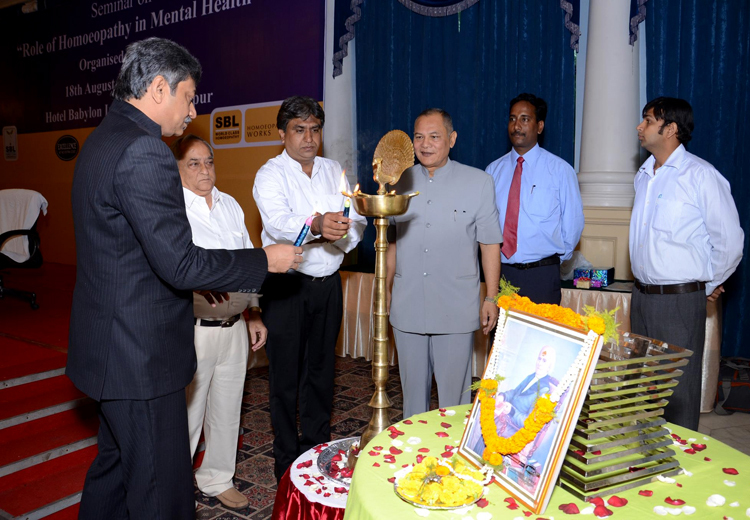 AUG.18: One day seminar on mental health was organised by Sbl.Pvt.ltd. at hotel Babylon. Mr. Mukund shreshta, the President, SBL, was present on this occasion with his team. It was inaugurated by chief guest Dr.M.Purohit and Dr.Uttam Chawda presided over the function.Dr.Manoj Patel, the speaker of the day shared his views on mental health with cases. Dr.Beena thomas, Head of the Department, Research and Development focused on the importance of quality control in manufacturing homoeopathic medicines. Vote of thanks was given by Mr. Arvind shukla with Mr.Vidhyachal. Delegates from all over Chattisgarh state were present and enjoyed the occasion.